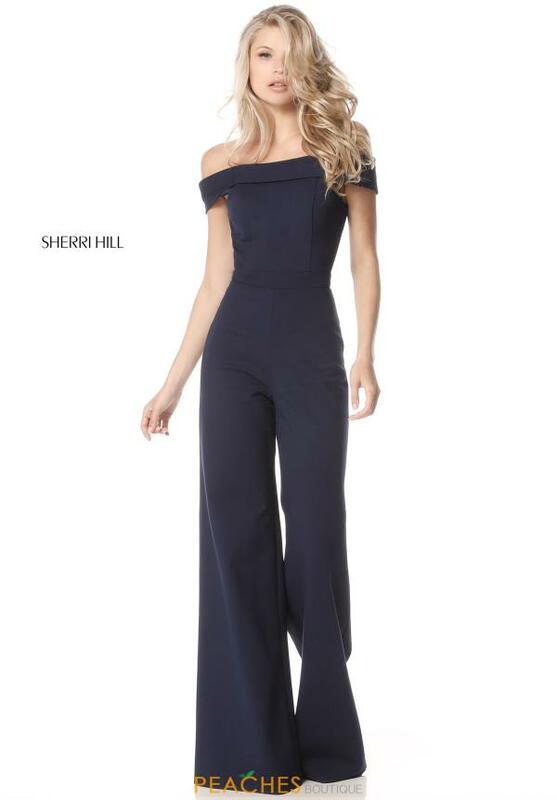 Stay on trend in this ultra chic Sherri Hill jumpsuit 51433 at your next night out. This versatile silhouette showcases an off the shoulder cuffed neckline with cap sleeves on the fitted bodice. Offered in a wide range of colors, the pant has a wide flared leg for a dramatic effect. See more amazing Sherri Hill styles at Peaches Boutique.